The Cats' Protection League takes in sick or unwanted cats and kittens and rehomes him. It also promotes desexing and educates the public about the care of cats and kittens. A non-profit organisation dedicated to the re-homing of animals ranging from mice to horses. Animal Re-homing believes that all species are entitled to live out the full length of their natural life spans either in their native environment or in the loving care of their human protectors. Located near Kaitoke, HUHA rehomes and rehabilitates needy and injured animals and promotes humane education and animal rights principles. Wellington SPCA rescues, rehabilitate and rehome abused, neglected and unwanted animals at their Wellington and Kapiti shelters. Animal rights news, music, and interviews, every Saturday at 11am on Wellington Access Radio 783am. Sponsored by the Animal Protection Society. Information, recipes, and support for vegans. Protects whales and marine wildlife around the world. A new national vegan outreach organisation. Save Animals from Exploitation is a national animal rights group, campaigning on a wide range of issues, but emphasizing intensive farming. 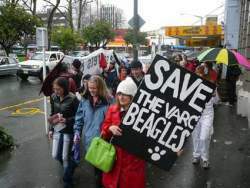 Information about the struggle to stop Valley Animal Research cruel animal experiments. Grassroots group that campaigns against fur and foie gras. 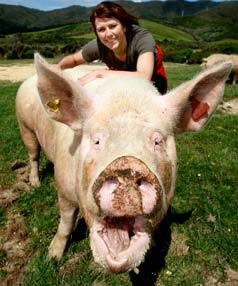 The New Zealand campaign to shut down intensive factory farming. Network that exposes animal abuse, rescues animals, and promotes animal liberation. Click on this link to see a counter that vividly demonstrates the numbers of animals killed worldwide by the meat, egg, and dairy industries. Information about animal testing, animal experimentation issues, and alternatives. HOME ABOUT US THE ANIMALS SPONSOR ANIMAL PROTECTION SOCIETY SUPPORT LINKS BLOG CONTACT.